Door Protection Panels by Yeoman Shield, at the Royal Armouries Museum .. The Royal Armouries is the national museum of arms and armour and as well as the museum and exhibition spaces, also provides conference and theatre facilities. 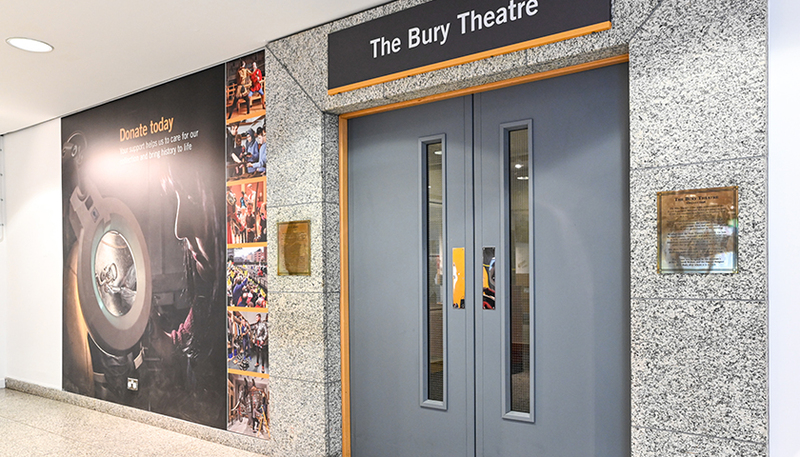 One such facility, the Bury Theatre, was receiving damage to the lobby and entrance doors. Yeoman Shield Full height, 2.0mm thick FalmouthEx door protection panels were fitted to the outer & auditorium doors of the theatre. Door edge protectors were added to the clashing and hinged edges to protect these vulnerable parts from damage. All Yeoman Shield’s door protection products are fire rated and have been tested to the current standard required.